How do you use social networks like Twitter and Facebook if you are computer shy or don’t have access to the Internet? Well, you can use a mobile phone to post updates without a computer but this woman is using something that most of us can’t even imagine — see uses a pen to write her tweets on a piece of paper and then send them to Twitter using a fax machine. 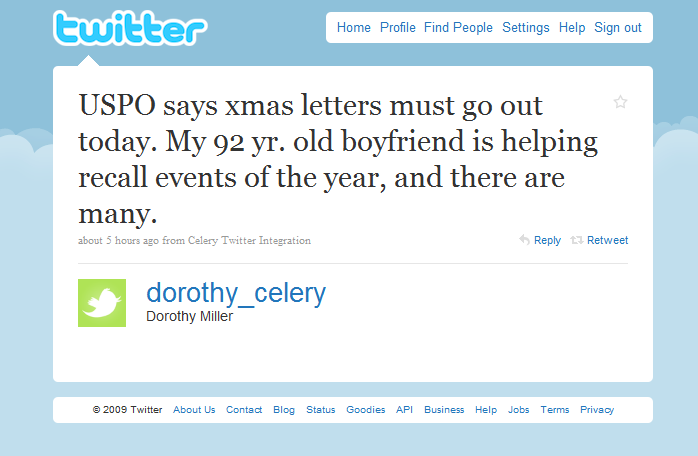 The woman, whose Twitter handle is @dorothy_celery, uses a service from Celery that lets people send and receive email messages through a fax machine without requiring a computer or an Internet connection. Other than email, Celery now works with Twitter and Facebook as well. The service costs about $8.98 a month and you can not only send tweets via fax but they’ll also fax you back any @replies to your Twitter account. Thanks @hc.